Material:Lightweight and soft fabric with stretchy. Feature: Wrap design, crossover v-neckline, shirring details. Occasion: Dating, Casual, Travel, Home, Office, Vocation etc. 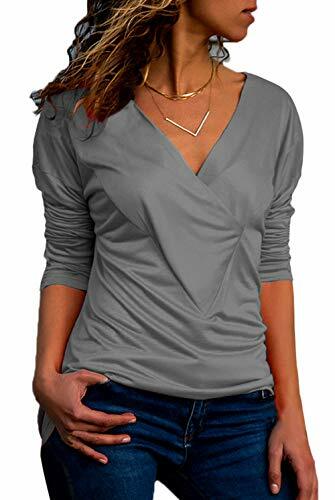 Style: Women long sleeve criss-cross in front, great to match with skirts,shorts, pants and jeans. Simple, chic and elegant top design, the best choice for autumn and winter, suitable for your wardrobe. If you have any questions about this product by Happy Sailed, contact us by completing and submitting the form below. If you are looking for a specif part number, please include it with your message.